Orlando at Walt Disney World Resort, U.S.A., 2017-Dec-12 — /Travel PR News/ — Four Seasons Resort Orlando at Walt Disney World Resort has set the stage for style and modern glamour within the hospitality industry in Central Florida. The only Orlando resort to have unique collaborations with designers such as Missoni and James Perse, today (December 11, 2017) the Resort announces a new collaboration with fashion illustrator Dallas Shaw. Shaw is an artist and style ambassador who has produced custom illustrations for many iconic brands, from Chanel to Christian Louboutin and Carolina Herrera, and even Disney Style. Shaw created a custom high-fashion illustration of Cinderella to announce a jewelry collaboration with Pandora. Now based in Wilmington, Delaware and Nashville, Tennessee, Shaw once lived in the Orlando area and worked for Disney as an illustrator. Shaw has illustrated some of the signature spaces at Four Seasons Resort Orlando, including the grand entryway chandelier, Capa steakhouse, the Resort’s palm-tree lined pathway, and more. The illustrations will be released on social media, and will be featured on various promotional products and retail items. The Resort’s Director of Catering Laure Hitzig Clavette first met Shaw at an Engage wedding summit, and knew Shaw’s work would align well with the clientele of the Resort. “We produce phenomenal events, many which are very glamorous, and I could absolutely see our Four Seasons brides and other guests relating to Dallas Shaw’s illustrations,” says Clavette. Four Seasons Resort Orlando is the first and only AAA Five Diamond rated resort in Central Florida. The resort has received accolades for its modern décor and calming colour palette in natural hues. Design elements incorporate a touch of whimsy, from the circular gold orbs found throughout the lobby to the signature entryway chandelier, made from 30,000 crystal components, which creates a truly dazzling first impression. 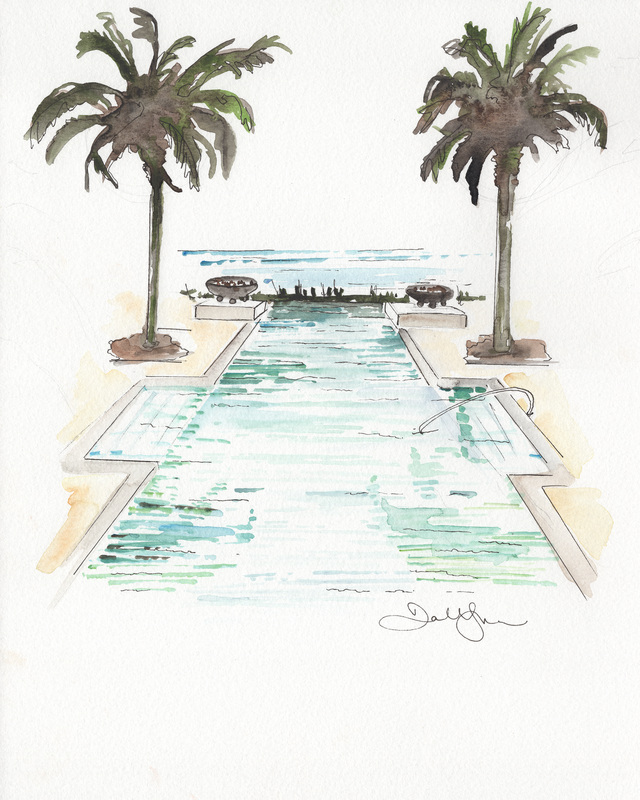 This entry was posted in Business, Hotels, Resorts, Travel, Travel Marketing, Travelers and tagged Alan Reichbart, Dallas Shaw, fashion illustrator, Four Seasons Resort, Laure Hitzig Clavette, Orlando at Walt Disney World Resort. Bookmark the permalink.